1 BEDROOM, 1 FULL BATH: Ski To The Door !. Gas Fireplace. Enjoy Camp 4 Community Hot Tub, too ! MASTER Bedroom: Pillowtop Queen Bed with Flat Screen TV/DVD. PLUS: Queen Sofabed in Living Room. Ski Storage Entry. Free WiFi. Free Long Distance. AMENITIES: The best decorated One Bedroom rental on the entire mountain. Ski trail is literally on your doorstep. No kidding...step off the trail...open the door. Stocked to the limit, the owners have thought of everything. Arrive to high quality linens, plenty of towels, paper goods, soaps, detergents. Complimentary full bag of STARBUCKS Coffee for you. Popcorn for the kids. "Eat In - Save Money": Your kitchen and dining table are abundantly stocked with a savory assortment of everything you'll need to feed the whole gang, and more if company drops in. Brand Names you trust - Cuisinart, KitchenAid, Wolfgang Puck, Crock Pot and more. Click here for a list of what to expect in your "Eat In - Save Money Kitchen" , and what to bring from home. LOCATION: Camp 4 # 18 sits right on Camp 4 Trail, a Novice run leading to the entire mountain. Close to Powder Ridge Lift. On the North End of the main ski terrain, all shuttle buses coming your way turn around in your parking lot. Easy to shuttle to the Village, or night skiing at Silver Creek. As "ski in / ski out" as you can get on Snowshoe Mountain. ENJOY: Camp 4 Unit 18 is about as cool as a ski chalet gets...the large Camp 4 community hot tub is across the driveway. The mountain views are terrific Only place in the entire resort where you can open the front door and ski right into the Living Room (please don't !) Excellent for a family with up to 2 children. Very appealing for a romantic couple on their winter holiday together. Picture Perfect ! Away from businesss of the village but short walk to the slopes. Unit in very good shape, Kitchen fully equipped and has large dining table, plus washer and dryer. 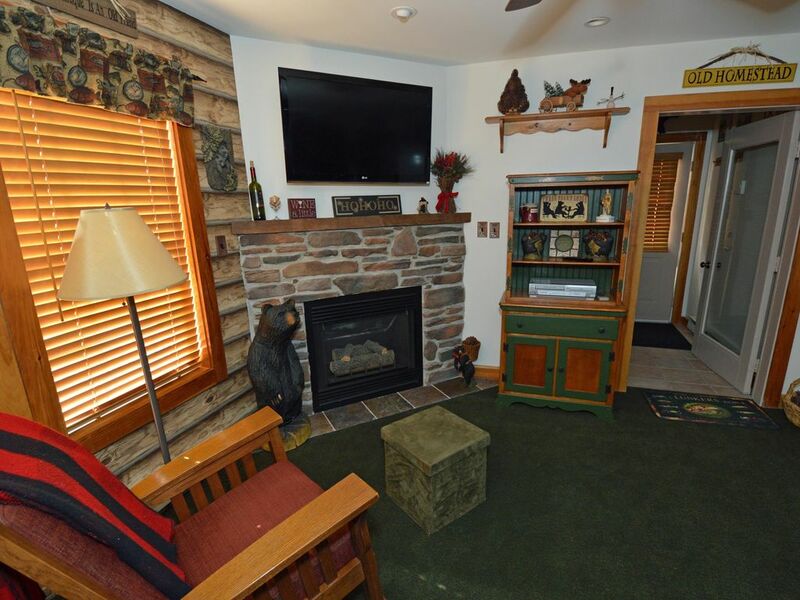 Small heated foyer too for all your ski stuff. Lower level unit so some noise from above. Easy parking and shuttle stop is about 25 yards away.